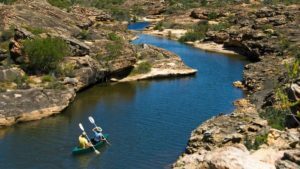 If you’re planning a summer holiday in South Africa, there are all sorts of wonderful kinds of waterside holiday destinations to consider. We offer you a few of our favourite water’s edge lodges and hotels from around the country. 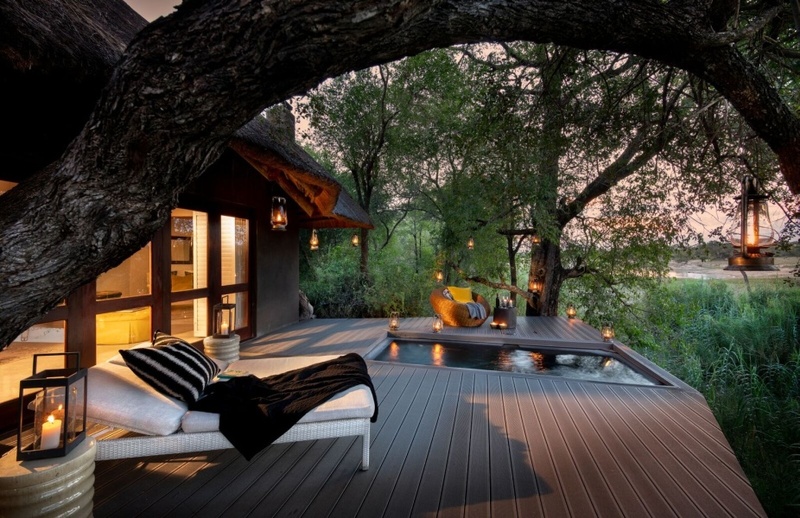 Chitwa Chitwa Private Game Lodge stands on the edge of one of the largest lakes in the Sabi Sand Game Reserve in Mpumalanga. From the wide central sundeck and pool area you can watch wild animals gathering around the lake. 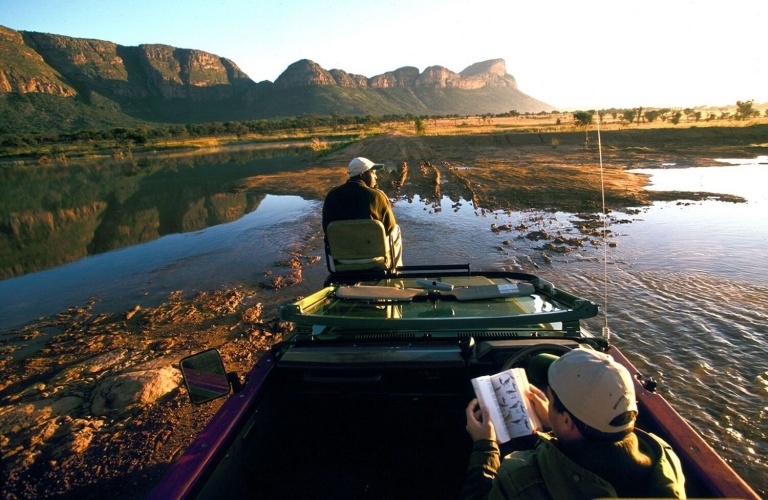 The lodge offers an excellent wildlife safari and top-quality relaxation in a magnificent waterside setting. Mail us. Entabeni Lakeside Lodge is set on the edge of beautiful Lake Entabeni in the spectacular World Heritage Waterberg Biosphere in Limpopo Province, about 3 hours by car from Johannesburg. Lake Entabeni spans 1.7 km is makes a tranquil setting, with the impressive Entabeni Mountain as a backdrop and creating incredible reflections in the lake – the perfect romantic spot for sundowners! You may even see hippos in the lake. 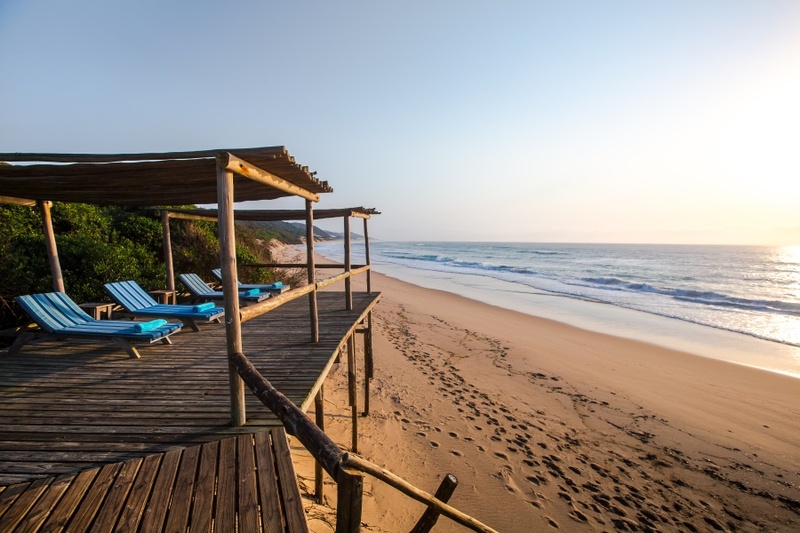 Umngazi River Bungalows has a beautiful location at a river mouth on the Eastern Cape’s Wild Coast – a holiday playground of rugged coastline, indigenous forests, blue waters and idyllic beaches. Catering to families, the resort offers thatched bungalows set in indigenous gardens at the edge of the river. The Lofts Boutique Hotel has a fantastic position on the edge of the Knysna Lagoon, which is one of the great attractions of the Garden Route, well known for incredible sunset cruises, a variety of water sports and an enviable holiday lifestyle. 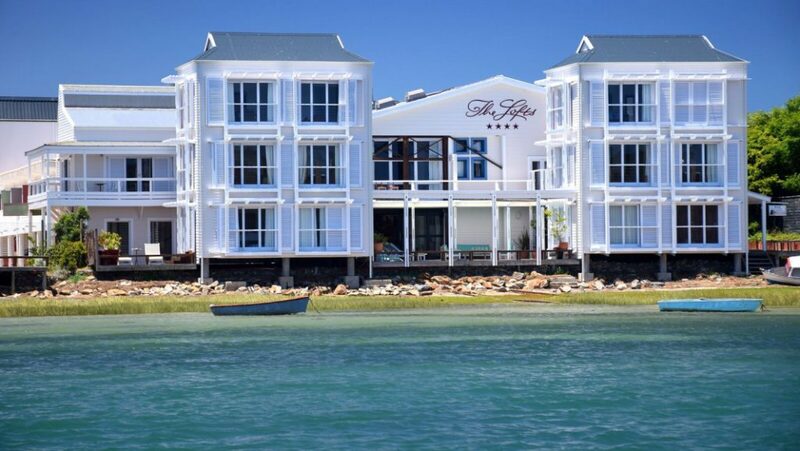 The Lofts is situated on Knysna’s Thesen Island in the Blue Flag Marina holiday hub. It’s a trendy place for a Garden Route holiday with great enjoyment of the town’s famous lagoon. 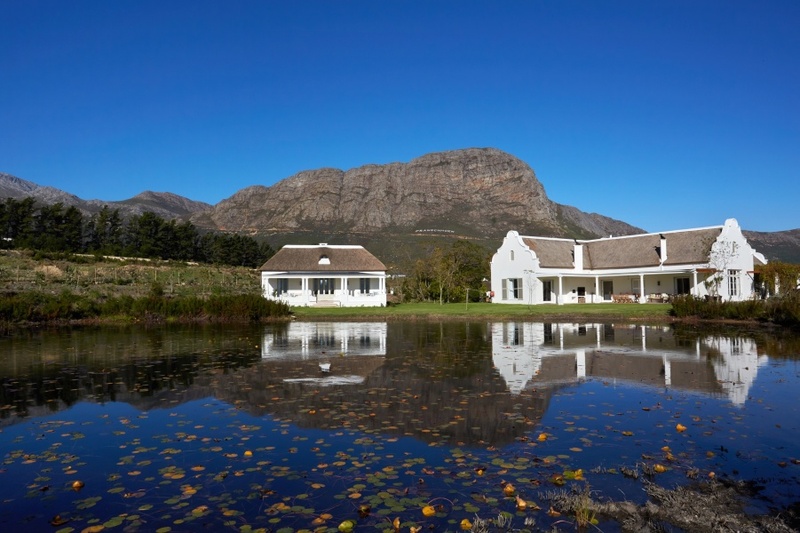 In the winelands of the Cape, La Cotte House has a picture-postcard setting beside a placid lake on a wine farm in Franschhoek. The serene and pretty lake setting has been likened to the paintings in Monet’s ‘Water Lilies’ series, and taken together with the exquisite mountains of Franschhoek, it makes a peaceful and very pretty winelands holiday destination. 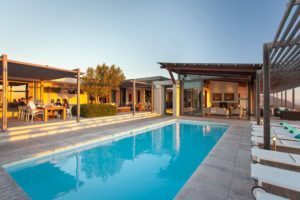 La Cotte House is a luxury sole-use holiday homestead accommodating up to 14 people in a private and luxurious space. 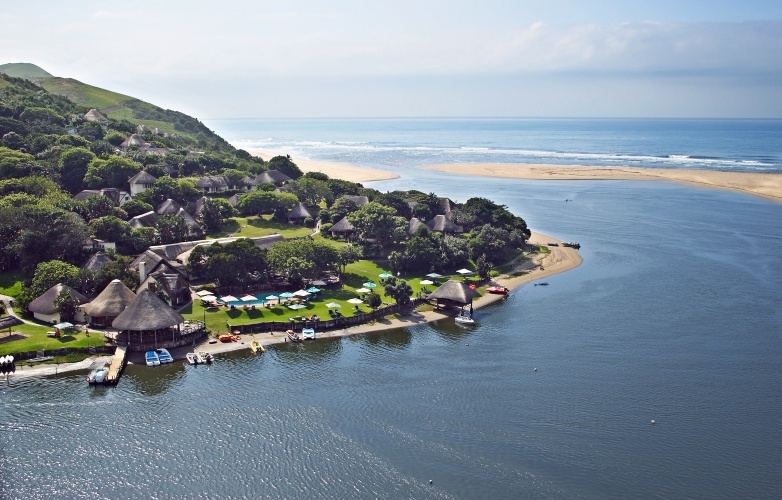 Set on a breathtaking and remote shoreline on the Elephant Coast of KwaZulu-Natal, Thonga Beach Lodge is set in tropical dune forest not many steps away from a pristine wilderness beach. It is a place where giant turtles come to birth their young between November and February each year. An exclusive experience of barefoot luxury includes snorkeling on a protected reef; diving; swimming with whale sharks, dolphins and manta rays; kayaking on Lake Sibaya; and seasonal turtle experiences. Mail us to book these and many other exciting getaways in South Africa, or call +27 21 797 7122 (international) or 0860 102 907 (local).